Photography degree graduates should look to national associations, local groups, and specialty associations. Professional associations offer information, education, and opportunities for networking. Professional Photographers of America , with 22,000 members, is the world's largest nonprofit organization for professional photographers. Since 1869, their role has been advancing photography careers. As their website reminds us, the goal of the PPA is to create a "vibrant community of successful professional photographers by providing education, resources, and industry standards of excellence." For a $323 annual fee, professional photographers enjoy organizational benefits including indemnification trust coverage, the organization's financial benchmark survey, studio management services, store discounts, copyright assistance, and digital watermarking. The SEP, Society of Sport and Event Photographers, hosts a SEPCON event colocated with the Imaging USA convention. The goal of the SEP is to help event photographers become more successful. The Evidence Photographers International Council, EPIC, provides its members with educational opportunities and resources that advance evidence photography. They were instrumental in launching the evidence photographers professional certification program. EPIC also hosts EPIC-Imaging USA, specialty sessions within the national conference. American Society of Media Photographers (ASMP) offers business education and a searchable photographer database. Wedding photographers may join the Wedding Photographic Society (WPS), which offers educational meetings, networking, and critiques. The National Press Photographers Association promotes photojournalism. Other groups include the Ophthalmic Photographers' Society, American Society of Picture Professionals, The Daguerreian Society (for the history of photography), the Food Photography Specialty Group, and Society of International Fashion and Glamour Photographers. Many international photography societies and specialty groups also exist. 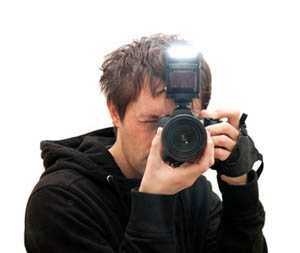 Nonprofessional photography groups exist as well, including the Photographic Society of America. Because these groups offer photography-related activities, courses, and competitions, they have value to the professional photographer as well. Professional photographers should also look to local and state groups for resources, like the Louisiana Photographic Society, the Boston West Photographic Society, the Northern California Underwater Photographic Society, and the Texas Photographic Society. Local groups promote local events, local photography, and networking and friendship among members. College photography students should consider the Student Photographic Society for career resources and industry information. The Professional Photographers of America, or PPA, produces two periodicals, the PPA's “Vital Signs” newsletter and Professional Photographer magazine. Professional Photographer magazine is the leading print publication for professional photographers. Internationally, the British Journal of Photography is the world's longest running photography magazine. The magazine covers equipment reviews, photographer highlights, photography competitions, and other news and information articles. Specialty groups sometimes have their own journal. The Ophthalmic Photographers' Society, for example, publishes the peer-reviewed Journal of Ophthalmic Photography. View Camera is a bimonthly publication aimed at the large format photographer. The National Press Photographers Association publishes News Photographer. Many magazines that cover cameras and equipment as well as tips for both amateur and professional photographers are available. Commonly available magazines include Popular Photography, Digital Photo, Shutterbug, American Photo, and Outdoor Photographer. Professional photographers will certainly benefit by association with other professionals and through the information flow from professional journals. Conventions offer a wonderful opportunity to visit with colleagues while taking in the latest information.